Our 3 week clinics will be the ideal training for rising 1st - 9th grade girls. 3d Lacrosse will provide an outstanding instructional, educational, and technical training experience. In an up-tempo practice environment, each player will learn the key skills of finishing, feeding, faking, dodging, and defensive positional instruction. Our main goal is to enhance and develop lacrosse specific skills while teaching players how to implement these skills in game situations. We will introduce cutting edge drills and tactics and the girls will improve and enjoy the dynamic training environment. Player development and team training is arguably the most important and least emphasized component of club lacrosse throughout the nation. 3d Lacrosse is focused on providing superior training through well-executed practice plans which combine the teaching of concepts and techniques through high tempo drills. Alison Connolly - National Director of Girls Lacrosse, 3d Lacrosse, LLC. She joined the 3d team in the spring of 2013. She was a two sport All-American at Middlebury in Lacrosse and Soccer, captaining both teams her senior year. As a four year starting defender she led the lacrosse team to an unprecedented three NCAA National Championships. Along the way she earned All-American honors in both sports, and was named to numerous all-conference, all-tournament and all-academic teams. Most impressively, she was named a top 10 finalist for the highly prestigious NCAA National Woman of the Year Award in 2002. Kate Cipolletti- A 2011 graduate of Boston University, Kate was a 2-year starter and standout defender. During her tenure at BU, the Terriers won the America East Championships in 2008, 2009 and 2010 and advanced to the NCAA Division 1 tournament. Kate played competitively again as a member of the World Team, where her teammates joined her from 9+ countries, and helped her team to a five game sweep over Great Britain in the Lacrosse Super Series. Kate captained the Duxbury High School team and lead her team to their first ever State Championship in 2007. After graduating with a major in communications, Kate coached in Reading, England for Queen Anne's School leading them to a 7th place national ranking. While in England, Kate also lead both the U19 West England team and the U19 Berkshire County team to victory at England's national tournament, and the West Territorial tournament, respectively. Moira Talbot - A 2008 Graduate of The University of New Hampshire, Moira was a 4 year starting attacker for the Wildcats. In her senior season, she helped lead the Wildcats to a #13 national ranking, earning an at-large bid to the NCAA Division 1 tournament. Moira grew up in Marblehead, and graduated a two time US Lacrosse All-American from The Governor's Academy. 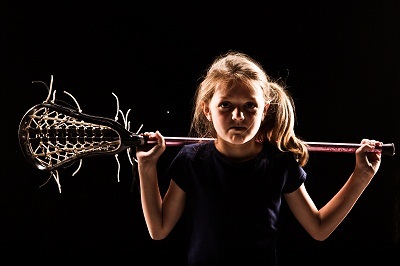 She is now the Varsity Girls' Lacrosse coach at Newton Country Day School.